Samantha Valentine Ellis | Jacksonville Criminal Lawyers Law Offices of Ellis and Bryant, P.A. Samantha Ellis is a founding partner of Ellis and Bryant, P.A. and lifelong resident of North Florida. While only a law student, Ms. Ellis became a Certified Legal Intern and began advocating for indigent clients in divorce and child custody matters. As a Certified Legal Intern, she was able to make court appearances, negotiate mediation agreements with opposing counsel, research applicable laws, and draft court documents and memoranda. She was also on the Dean’s List and received Pro Bono honors. Ms. Ellis’ clients can be confident that they not only have an experienced litigator advocating on their behalf but also a seasoned negotiator working for the best outcome in even the worst criminal and family law disputes. Samantha Valentine Ellis graduated from Florida Coastal School of Law in 2007. Ms. Ellis continued to gain valuable legal experience as an associate with a reputable, family law attorney in Duval County. A year later, Ms. Ellis was offered an opportunity to serve the community as an Assistant State Attorney for the Fourth Judicial Curcuit. 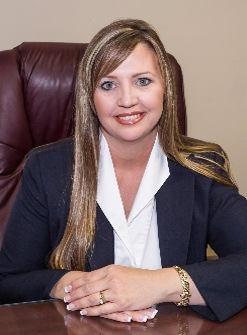 In her work as a prosecutor she handled numerous felony and misdemeanor trials including, attempted murder, aggravated battery, sexual battery, burglary, armed robbery, domestic battery and DUI.